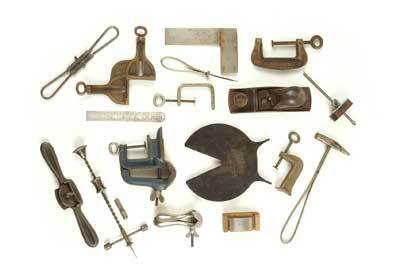 All these tools were made by Hobbies and illustrate their simple approach to tool design and manufacture. Some work better than others! The Hobbies fretwork kit was a wonderful introduction to the world of wood; imagine being given one or even saving up for one - a simple set of tools that you could use, set up on the kitchen table and make things for yourself, with maybe a bit of help from Dad. I wonder how many young people found this the inspiration that sparked off a lifelong love of making things, and chose a career in woodworking as a result. The Hobbies company was formed by John H Skinner in about 1897 with the aim of supplying fretwork kits, materials and machines for the home handyman and hobbyist. J H Skinner was also the name of his first company formed in the 1880s in Dereham, Norfolk, making wooden box cameras similar to the Brownie box camera, which was not patented until 1900. 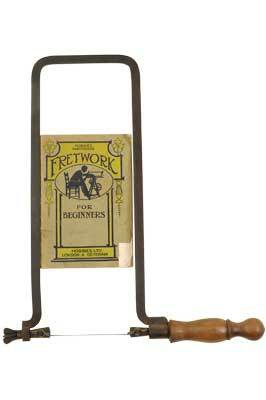 He was also selling imported American fretwork machines and German-made fretwork blades. To avoid expensive advertising, John and his brother Frank had the idea to publish their own magazine called Hobbies Weekly. This turned out to be the secret of their success; priced at 1p a week, the circulation rose rapidly and by the following year, 5,000 copies were being sold. Each week a free design was included, printed on paper with green ink, which you simply traced over with carbon paper on to your wood. The fretwork items could be made from prepared wood that was included in the Hobbies kits to begin with and replacement wood could also be bought from Hobbies. Skinner's uncle had a timber yard situated on the wharf at Dereham, close to the Hobbies factory, and timber was brought directly from there by a branch line straight into the factory. 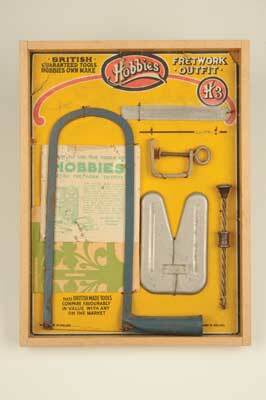 By 1898, Hobbies had opened a second Hobbies supply store in London, with the novel idea of featuring a fretworker cutting and assembling models live in the window. Hobbies were really catching the public's attention and were not slow to take full advantage of this by opening stores in most large towns. 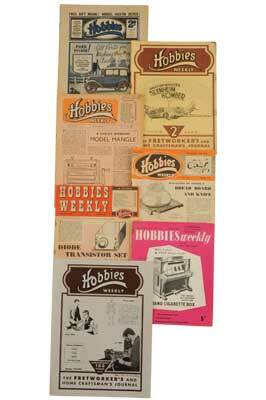 Hobbies knew how important publicity was and used a mobile demonstration van that toured the country showing fretwork items being made on a drop-down platform on the side of the van. 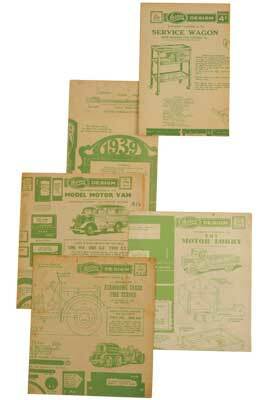 An annual catalogue was also published showing a range of fretwork kits, beautifully presented in strong card boxes. 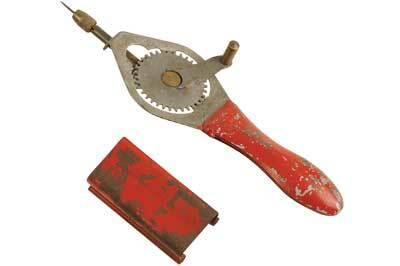 A good selection of fretwork machines, tools and materials were offered, all available by mail order. In fact, you had no need to go anywhere else. By 1900 the circulation of Hobbies Weekly magazine had reached 50,000 copies, with sales extending to the commonwealth countries such as Australia, Canada, South Africa and more. All the manufacturing was done in Hobbies own factories at Dereham including converting all the timber, casting all the iron components, cutting and forming all the metal parts, chrome plating parts, making all the tools, assembling the fretwork kits and despatching everything. 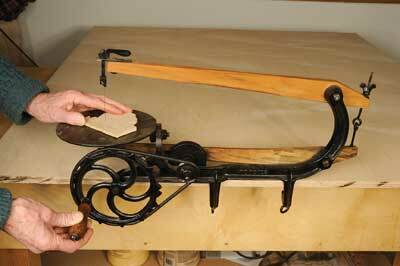 250 treadle fretwork machines and 1,000 hand fretsaws were being made weekly. 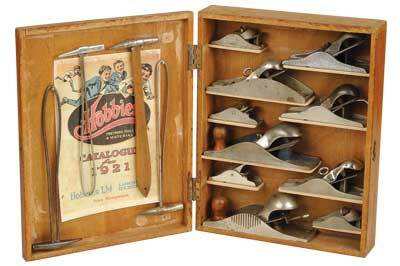 In 1903 J H Skinner left Hobbies and emigrated to Durban, South Africa, to set up a plywood making company. He had long seen the advantages of plywood and had been making panels by hand. The plywood produced was of such good quality that it was used on aircraft wings and also supplied to the furniture industry. In 1907 a serious fire wrecked the Hobbies factory and caused Â£25,000 worth of damage but within six to eight months the factory had been rebuilt and production restored. When World War I began in 1914, many of the company's skilled workers left to enlist. Women had already been working in various departments and more joined them to replace the men. 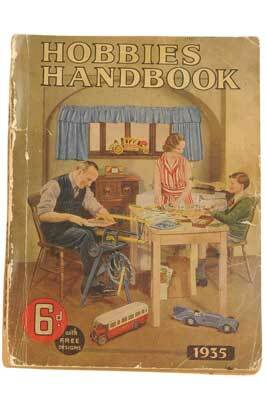 After the war, Hobbies introduced new products such as metal greenhouse kits, steam-powered model boats, steel-framed tennis rackets and, wait for it, 'a kit for a three-room bungalow'. Plans for a wireless cabinet and speakers, a gramophone and even plans to build your own glider with a wingspan of 25ft (7.6m) capable of flights up to 50ft (15.2m) were also sold. After making it through the Great Depression of the 1930s, the company's next challenge was surviving World War II. 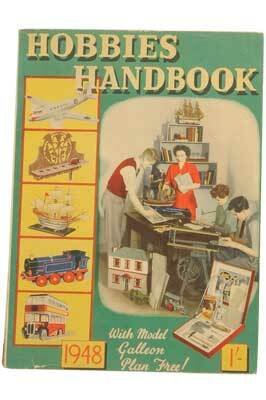 The Hobbies magazine and annual continued publication during the war, mainly featuring plans of military models. Sales soon returned to pre-war levels once the war was over and the company thrived well through the post-war years until the 1960s, but the interest in fretwork was slowly dying. 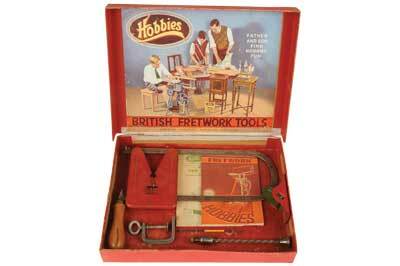 Inevitably, Hobbies was wound up in 1968 and that was that - this great British company had disappeared. 10 years later, however, an ex-employee of the firm acquired the name 'Hobbies' and formed a new company, which lives on to this day and is still based in Dereham. 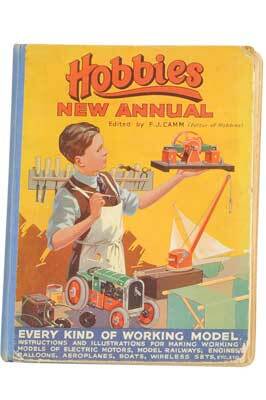 The full history of the company can be found in a book by Terry Davy called The Hobbies Story, published by Nostalgia Publications.